Resort Style Condo by the Bay! Gorgeous 2 bedrooms and 2 bath condo offers open floor plan with beautiful and sunny living room by a cozy fireplace, surrounded by the tranquil and peaceful lagoon and ocean breeze. This corn unit comes with additional windows and vaulted ceiling compare to other units. Both patio and master bedroom have view of the lagoon as well. 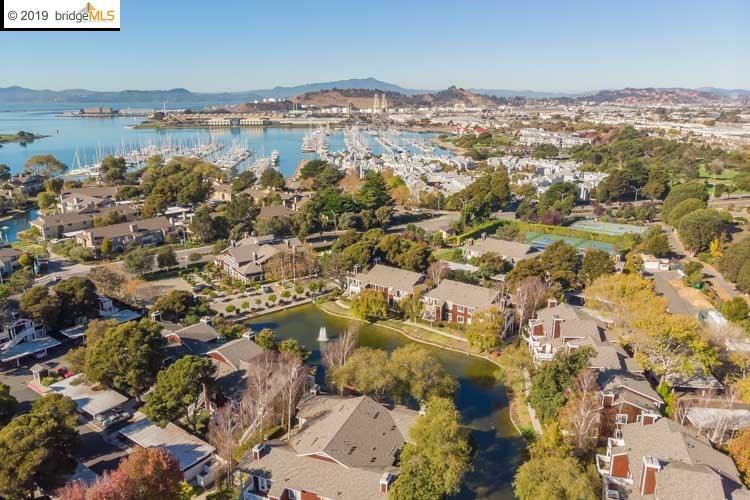 Marina Bay is a prestigious gated community of Richmond Marina Bay, offers two swimming pools, two hot tubs, state-of-art gym, community clubhouse, and three lighted tennis court. Gulls drift on the salt-tinged breeze, windsurfers catch the sunlight with their sails. Residents here celebrate the unmistakable allure on the bayrfront lifestyle. Close to transportation/BART Stations. Walking distance to Ferry from SF-Richmond. Open House 3/31@2-4:30.